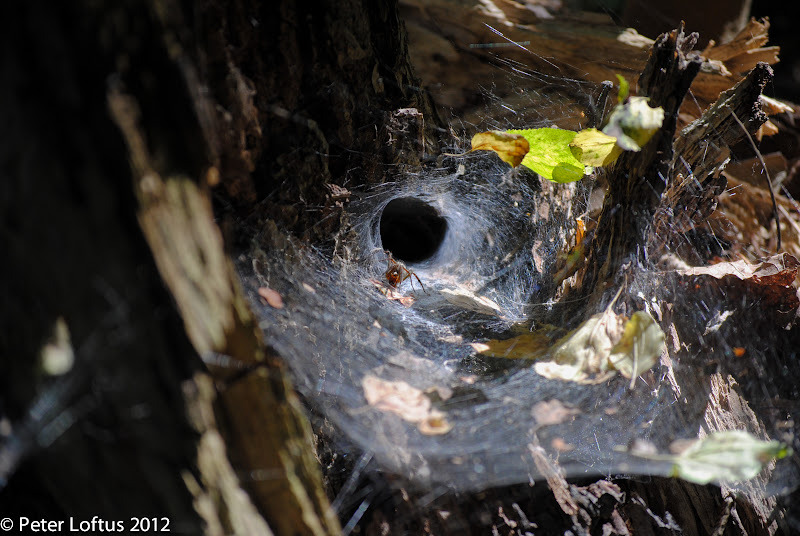 On a walk around Fresh Pond in Cambridge, MA, this past weekend, we came across this large funnel web built in the shade, against a stump. There were all sorts of other funnel and sheet webs scattered amongst the leaf litter and pasted to the hurricane fence around the pond. Orb webs are marvelous, but if you want to see the vast variety of constructions spiders make with their silks, squat down on your haunches and start scanning the shadier portions of the undergrowth and banks of ponds and streams. 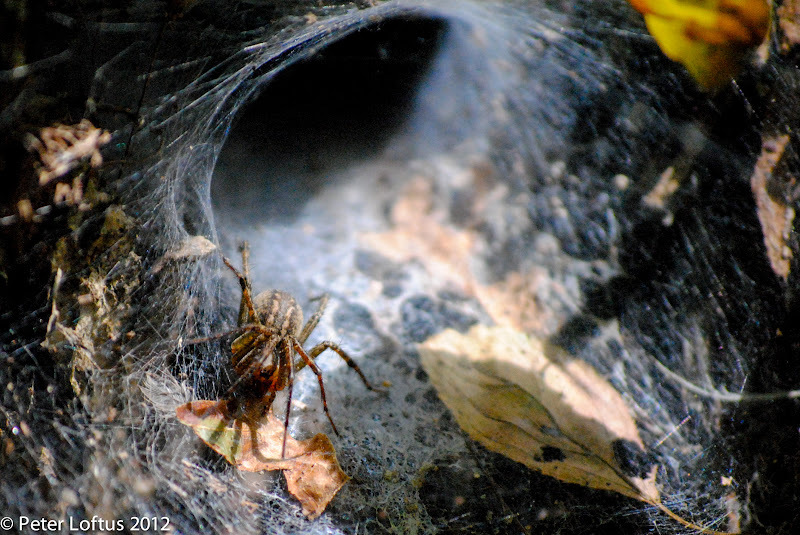 The close-up below shows this master builder to be most likely an agelenid, and likely a grass spider (Agelenopsis).